Eerie footage of a one-legged ghost of Thai mythology has been viewed over 3.5 million times. In Thailand, the ‘Gong Goi’ is a mythological child-sized spirit that lives in the woods. 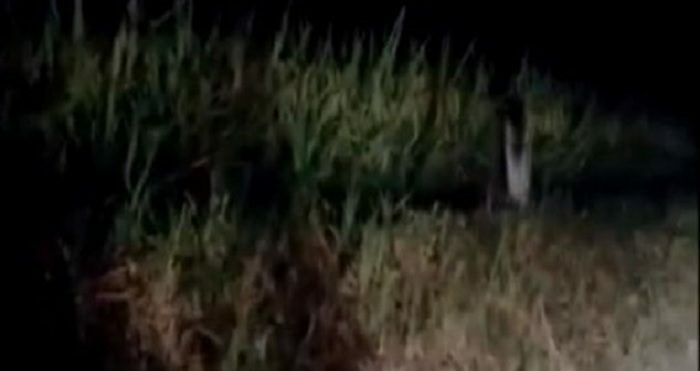 This latest viral video, which was uploaded on to Facebook last week by Chantha Sitouluk, allegedly shows the elusive specter hopping along the side of a road while illuminated by the lights of a car. But is this really evidence of the legendary Gong Goi or is something else going on ? While a fair number of viewers in Thailand seem convinced by the footage, it certainly seems possible that what the video actually shows is someone dressed up as the ghost as part of a prank.